Why does the Ministry of Defence (MoD) open a new front in its all-out war with service HQs, whenever an earlier one is forced shut due to public pressure? Does it have the concurrence of the defence minister to continuously push service HQs into wasting time battling bureaucracy in its own MoD, rather than handling complex national security issues? Is it because the MoD is overstaffed and hence, with nothing better to do, seeks to find new avenues to interfere? Whatever the reason, the MoD forces service chiefs to jointly approach the defence minister to resolve issues on which the MoD has no locus standi but desires to intervene. It attempted to take over the Canteen Stores Department, which was vehemently objected to. A hue and cry on social media led to members of parliament approaching the defence minister, who accepted that it would not happen on her watch. However, the battle is still far from over as there has been no permanent appointment made. Unless this is done, doors for illegal actions by the bureaucracy are still open. The ongoing battle for equivalence with the civil cadre continues with no end in sight. The MoD seeks to delay its decisions, possibly even keeping the defence minister in the dark. It attempted to place its representatives on the Armed Forces Tribunal (AFT) but was blocked by the Supreme Court. AFTs remain nonfunctional with most benches vacant. Non-Functional Upgradation now leaves only the armed forces out, against whom the MoD continues to employ a battery of lawyers. With the grant of the same to the Central Armed Police Forces, will the MoD see light of the Supreme Court judgment and withdraw its appeal? In its latest actions, the MoD has sought to amend the rules for selection of officers for appointments as Defence Attaches (DAs) in Indian missions abroad. Since independence, the onus and responsibility of their selection, pre-induction training and exposure remained that of service HQs. Based on the country the rank of DAs was decided by service HQs, subsequently approved by the MoD and the external affairs ministry. 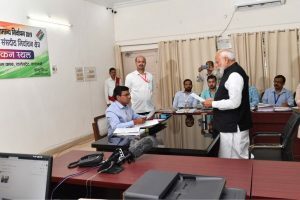 They were selected by a panel headed by the Vice Chiefs of respective services, after which the list was forwarded to the MoD for approval and acceptance by the Ministry of External Affairs. Suddenly, based on an internal study ordered by the government on defence diplomacy, which had no service representative, the MoD is seeking the inclusion of an Additional Secretary on the selection panel. What additional benefit would this result in is unclear, other than adding one more spoke in the wheel. It has refused to approve the selection of DAs without this change. For service HQs, this intervention in its internal matters is unacceptable, hence another standoff has taken place between service HQs and the bureaucracy. There are presently 44 DAs affiliated to 95 countries. In return 65 countries have DAs based in India. The present battle has led to no naval attaches being selected for Washington and Bahrain. DAs for Maldives, Kenya and Oman would soon be finishing their tenure and with no fresh appointment, these posts would also be vacant. Bahrain was sanctioned recently and is important as the DA would be the key person interacting with the Naval HQs of the US Central Command to coordinate operations in areas of the Red Sea, Gulf of Oman and the Arabian Sea. Military engagement with Maldives, especially after recent elections, is gaining importance and cannot be ignored, simply on issues of protocol. The Navy plays a major role in this engagement. Similarly, Oman where India is constructing a naval base in Duqm, is an important appointment. Does the MoD consider national interest in its actions or is it only concerned about battling the bastions of the armed forces they are tasked to protect and serve? Is just seeking a foothold in the selection process a priority or should its overstaffed bureaucracy be looking beyond Indian shores for an enhanced role for the armed forces? The importance of DAs can be envisaged when they and the envoys are the only appointments in an embassy expected to present their credentials to host countries who then subsequently accept their nomination. Within India also, the importance of its DAs was evident when they were all brought back to attend the Defence Expo last April and addressed by the defence minister and the MEA. The defence minister asked them to project India as a major manufacturer of military arms. She also desired that they outline ‘India’s interest in building stronger military to military cooperation, training and capacity building.’ The DA is also the advisor to the Ambassador or High Commissioner on military aspects of diplomacy. In most countries, where there are disputes with neighbours, it is the DA who is taken for a visit to project the area of dispute and actions by the host country. India has taken DAs based in Delhi to different regions of the NE and J and K to project its viewpoints. Similarly, seeking to highlight that there was no surgical strike, as claimed by India in 2016, Pakistan took DAs based in Islamabad to the claimed areas to highlight their perspective of no strike. The MoD has sought to ignore the importance of the appointment, only because it seeks to alter status quo. With multiple attempts at grabbing military assets, is the MoD acting in unison to dislodge the very armed forces it is meant to serve? It is possible that the bureaucracy is attempting to project the present government in bad light and as anti-military, especially when elections are drawing close. 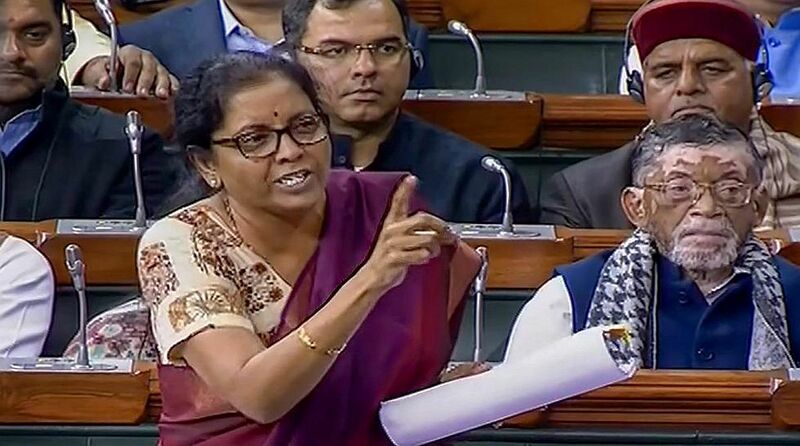 Does the defence minister realize that as she spends time defending the Rafale deal in parliament, her bureaucracy assails her reputation from behind? If her party loses support of the veterans and serving, the blame should lie with the bureaucrats in her own ministry.